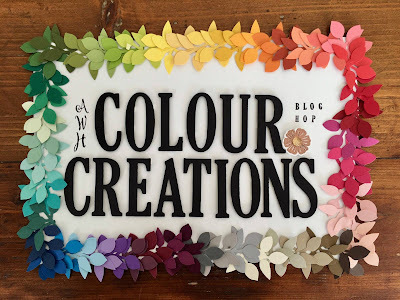 Hi Everyone, Here we are again with our colour creations blog-hop. This week the colour is Mossy Meadow, and as I have said before green being my favourite colour I had no problems coming up with this one. 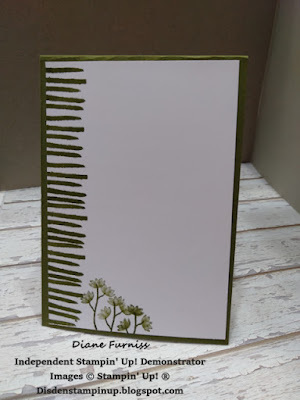 I started off with a Mossy Meadow card base and the only 2 colours of ink I used was Mossy Meadow and Pear Pizzazz. I used the Incredible like you stamp set (which I love) and stamped the lines down the side of white card. before added a strip of gold glimmer paper and then a strip of basic black card. I stamped the main image as full strength and the second image at second generation. I placed the whisper white stamped up onto some dimensionals and added this to the front of the card before adding a few clear gems close to the dots. 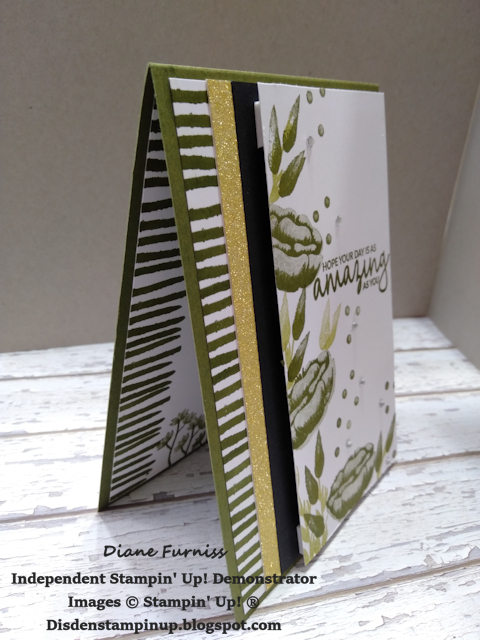 I stamped the insert to match the strips down the right-hand side and added the little flowers at the bottom. I must admit I was very happy with how this turned out I would have thought that it would be way to dark. I could imagine doing this card in a wide variety of colours and still have a love result. All Items used in the project can be found in the 2018-2019 Annual Catalogue and the 2019 Occasions Catalogue. Don't forget that with Sale-A-Bration on from the 3rd January until the 31st March if you purchase $90 or more in products you can choose a free item from the Sale-A-Bration catalogue. If you would like to make a purchase I would love to help you, so please either Call, Email of PM me Thank you. Wow, Di, I would never think to stamp these flowers in Mossy Meadow, but it's stunning! 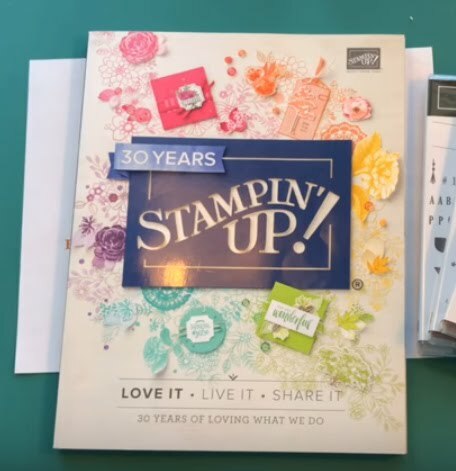 I love your colour combination Dianne and I love that stamp set too. Thank you for hopping along tonight! This is just simply gorgeous Diane, I love it. It is stunning in mossy meadow! Diane, I love the combination of colours on your card, it's really lovely.